Walt Disney Co. reported Tuesday that its domestic theme parks and its consumer products business drove the company to a 10% increase in net income for its fiscal second quarter. The Burbank-based company posted net income of $2.108 billion for the quarter that ended March 28, up from $1.917 billion a year earlier. Revenue rose 7% to $12.461 billion. 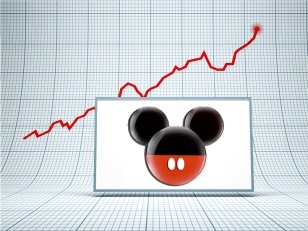 Disney, the world’s largest entertainment and media company, delivered earnings of $1.23 a share, easily beating analyst expectations of $1.11, according to investment research firm Zacks.